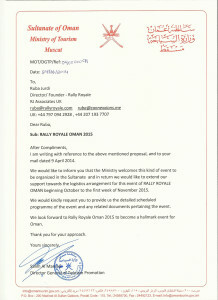 Rally Royale received official approval from the Oman Ministry of Tourism, and an offer to access its extensive experience and logistical expertise to help with the formation of the Oman Grand Tour. 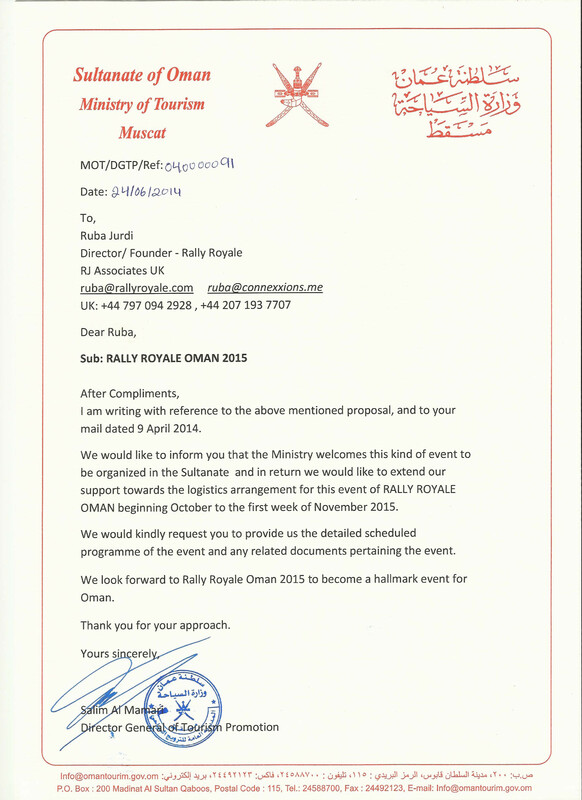 This is an important milestone for Rally Royale, as it offers our team a clear signal that we have the support of officials on the ground in Oman. The Ministry of Tourism has ambitious plans for marketing and promoting Oman as a prime destination for luxury holidays. Our rally is a perfect match to these objectives, and hence we look forward to collaborating with the Ministry at every stage. Being the first long-distance classic car rally exclusively in Oman, we look forward to a valuable working partnership with the ministry.